You may have heard of site creation tools, and provider options like WordPress sites and Joomla hosting. By the end of this post we hope to have explained your options well enough for you to make the best choice for your Irish business. We can’t help you much with that first item; only you know what you want from your site. We can help you with two and three. We’ll also explain how these two parts work together to help your online presence shine. Content Management System: Also known as a CMS, this is a web-based application that allows users to create, edit, archive, and collect data. All of them have a number of add-ons and extensions to increase the site’s capabilities, and most are very low cost, or free. Some examples of a CMS include Joomla!, WordPress, and Drupal. Domain name: This is your website’s name, the part that comes before the suffix in the URL. For example, in the URL www.joomlahosting.ie, “joomlahosting” is the domain. Domain: The domain is the suffix. Using the above example, “.ie” is the domain, which is the domain for the country of Ireland. Host: In internet terms and for the purpose of this guide, a host refers to computer hardware and software, plus the network communication lines used to house online content. The content is controlled by someone else, like a website administrator. SEO: Search Engine Optimization. There are ways to get your site seen closer to the first few pages of a Google search result. SSL/TLS: These acronyms, often used interchangeable refer to Secure Sockets Layer and Transport Layer Security. These protocols are used to provide a secure network connection between your clients and your website and is achieved by your hosting service installing an SSL certificate on your server. Web hosting: Logically following the definition of host, web hosting is the business of providing space, services and file maintenance for companies and individuals. Some people run their own web hosting server, but most use an outside service. This post has more information about web hosting. A content management system is a great way for people who don’t code to design and build a website themselves. Most of the World Wide Web is content created by one of three most popular CMS’s: WordPress, Joomla!, and Drupal. Which content system you select will affect which web hosting service you choose, since they each have different system requirements. Some considerations to look for are installation type, ease of use, features, and use cases. We can spend time comparing the three most popular, but we are here to talk about Joomla and Joomla web hosting. If you choose Joomla, you’ll be in the company of organizations like Ikea, Harvard University, and eBay. Like its two competitors, it’s an open-source CMS and is maintained by a global community of volunteers. It also has thousands of extensions you can use to expand your site’s functionality. Joomla has SEO tools built into it, and a number of extensions to use to increase your page’s visibility in search engines. There is a Joomla cache feature that allows your site to cache elements and increase page load speed. Also built in is the ability to enable “search-friendly URLs”. The user can choose these options in Joomla’s global configuration in order to clean up and optimize your site’s URLs and make them more easily understood by Google and other search engines. This feature is dependent on the server software, so you should consider that when choosing your Joomla web hosting company. You can also download a front-end SEO extension that manages your site’s metadata information. In addition to your overall SSL implementation, Joomla has built-in two-factor authorization and numerous access levels for your site administrators and contributors. Any reported security issues are addressed by Joomla’s Security Strike Team and regular security patches are written. If you are attracting visitors from other countries or would like to, there are more than 70 translation packs and built-in multilingual content management. You can create multilingual websites with ease. Joomla is capable of enable front-end editing, which allows a user to make real-time changes to the website. This is an extremely popular feature with operators. Joomla requires some specific hosting capabilities. 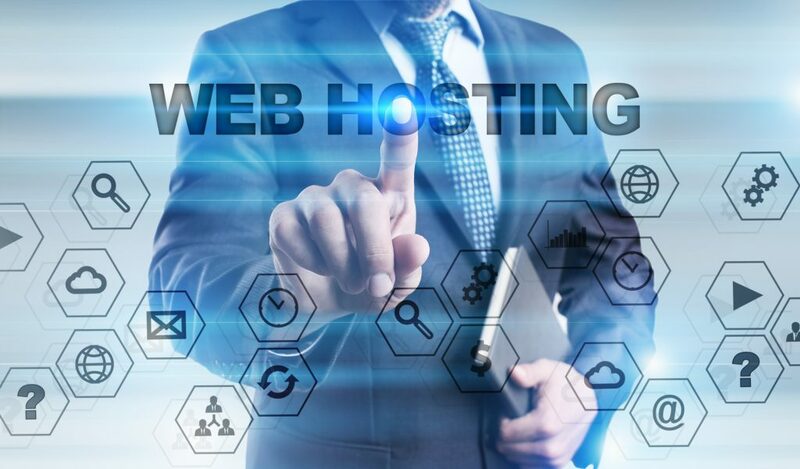 The best web hosting services will provide the user with a single click installation process for Joomla, generous disk space and bandwidth allowances, and servers that are optimized for Joomla deployment. Joomla will also work well within a VPS, or virtual private server environment. A VPS runs its own copy of the operating system and looks, behaves, and feels like you’re running your own personal computer with administrator privileges. Your Joomla web host will know if this is a solution that will work well for you. You’ll also want your web host to offer support for PHP and MySQL databases, automated backups, and SSD disk space for speed. Joomla-specific tech support is also a must-have from your hosting provider since it has its own environment and interface. Joomla has extensive documentation and a large support community, but sometimes speaking to a technician is what you need. You might want to speak to a technician, and you might want to speak to a technician who has an insider’s look at your issue. Someone who would understand your specific challenges. Someone local. Your Irish business website can be seen from all over the world via the internet. Those geographical boundaries seem insignificant when we can virtually travel anywhere we want with just a click of an app. One of the advantages of Joomla is its speed. And despite the availability of cloud computing and high-speed internet, the physics of your connection still applies: the closer you are to your host, the faster your site will load. Without question, Joomla websites hosted anywhere else will not be as fast as Joomla hosting in Ireland. Speaking of SEO, the location of your server directly affects your site’s performance on Google. If your business is based in Ireland, and your Joomla server shows an IP address based in Ireland, your site will rank higher on Google.ie than on other country’s Google sites. The Irish government’s Data Protection Act determines the laws affecting your data if you host in Ireland. You won’t have to worry about being subject to foreign law enforcement, and potential Personal Identifying Information data breaches outside your country. In addition, other countries’ laws can change and override your own country’s regulations. You also won’t have to deal with law enforcement agencies or legal challenges that might post communication challenges. It might seem like a silly point, but think about server uptime guarantees. Many parts of the world experience natural disasters on a regular basis. Tsunamis, earthquakes, hurricanes, and typhoons can all knock out electrical service, damage buildings and take down phone lines. Irish weather isn’t known as the greatest, but Ireland is remarkably free of extreme weather events, and so is able to host servers safely and consistently. You want to stay up to date with technology. You want your business to succeed. You want the fewest headaches and problems building and maintaining your website. You have some decisions to make, and it’s important to research your options thoroughly. You have access to heaps of documentation about Joomla, and any other CMS you may have interest in. You may want to consult with a web hosting service in Ireland to help you make your best decision. Whether you’re designing and building your site yourself or hiring someone else to do it for you, using Joomla can be a great decision no matter what kind of site you want for your online presence. Even if you are creating a simple blogging site, choosing well is important. We can help you choose, walk through your installation, host your site, and keep your site secure. Joomla hosting in Ireland may be a great choice for you. We invite you to phone us or send us an email to find out how we can help your site succeed.